Graduating from Princeton in 1966, my class left the comfort of a college campus just when the Vietnam War was really heating up. With the Draft looming, classmates had various military options and other choices such as graduate school, a Draft deferrable job, or pursuing a conscientious objector (CO) designation. I chose to apply for and then attended Naval Officer Candidate School, was commissioned, and made it through the War – albeit with many days on the Navy’s front lines in the South China Sea, where my ship dodged most of the enemy’s shells aimed at it. 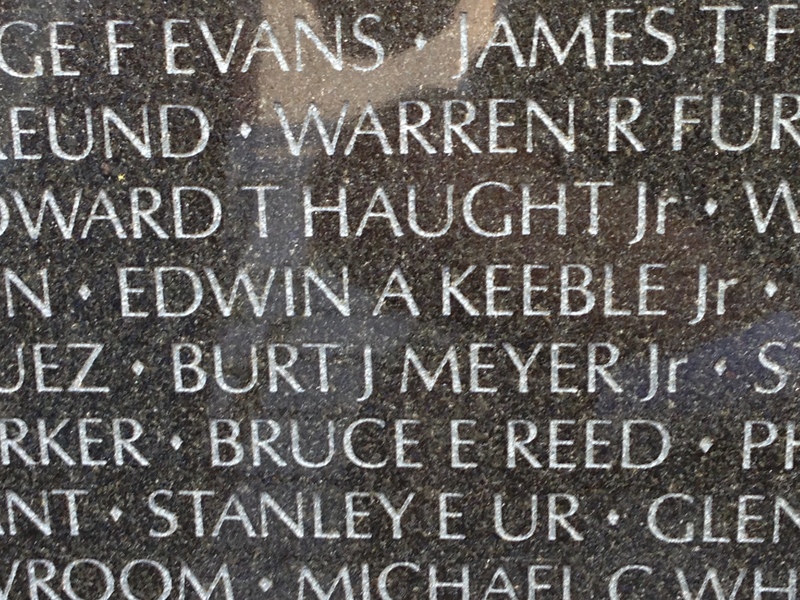 Unfortunately, one of my close friends at Princeton, Ed Keeble, didn’t make it through the war. Ed Keeble was killed in action in Vietnam Feb. 28, 1969. A Marine helicopter pilot, he died when his craft was hit by enemy ground fire in the A Shau Valley just south of the DMZ. Ed came to Princeton from Deerfield Academy. An English major, he found time for lacrosse and the “good men” he valued so highly. He lived in Patton Palace and was a member of Cannon Club, where he was elected president his senior year. A member of the Semper Fidelis Society while at Princeton, Ed wanted to be a good Marine pilot when he graduated. After completing basic training at Quantico, he went to flight school at Pensacola. He married Alice Orr (Happy) Collins on March 4, 1967, while still in flight school. He did well in flight school and, given his choice, decided on helicopters. Temporarily assigned to New River, North Carolina, Ed was ordered to Vietnam in August, 1968. Ed was buried at Arlington National Cemetery with full military honors March 20, 1969. To Ed’s wife and family the Class extends its deepest sympathy. A memorial scholarship has been established in Ed’s name at Deerfield. Any classmate who wishes to contribute may send a donation to the Edwin Augustus Keeble, Jr. Scholarship, Deerfield Academy, Deerfield, Mass. 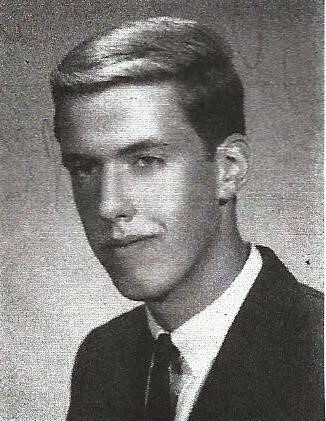 Ed was one of 24 Princeton University Vietnam Era War Dead. Of those 24, five are from the Class of 1966, easily more than any other class. I remember “Keeble Ed” well and can assure readers the world was seriously shortchanged by his early death. The photo below is a portion of the Vietnam Veterans Memorial. As of 2013, there are 58,286 individuals denoted as War Dead on the Memorial. Names are added to the Memorial when it has been determined that a service member has died directly from combat-related wounds. Cancer victims of Agent Orange, and post traumatic stress suicides do not fit the criteria for inclusion upon the Memorial. For more on the Memorial, visit the website of the Vietnam Veterans Memorial Fund, the nonprofit organization authorized by the U.S. Congress in 1980 to build a national memorial dedicated to all who served with the U.S. armed forces in the Vietnam War. This is a lovely tribute to Keeble Ed. His wife, Alice, is a dear friend of my mother, and she’s my godmother. I don’t ask much about Keeble Ed because I know it’s a painful topic, even after all these years; I appreciate this glimpse into who he was. Thank you.